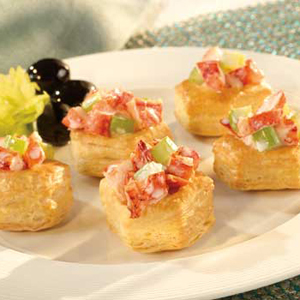 Tasty lobster salad is tucked into golden puff pastry cups for a delicious appetizer thats simply irresistible! Stir the lobster meat, mayonnaise and celery, if desired, in a small bowl. 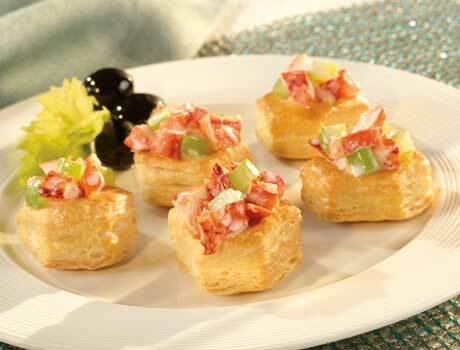 Spoon the lobster mixture into the pastry cups.